This poster above belonged to a magician named Frederick Bancroft. This poster is beautiful to be sure. And apparently it was also humongous. This was either a 28 sheet or 16 sheet poster. In other words, its a HUGE poster. I'm not even sure where you'd be able to hang such a poster. It clearly is for the side of a building. But how many buildings had free space for this monster? In 1925 this poster and another similar one were for sale at the price of 10 cents per sheet. It also came with a stand for an additional 50 cents. Imagine that. 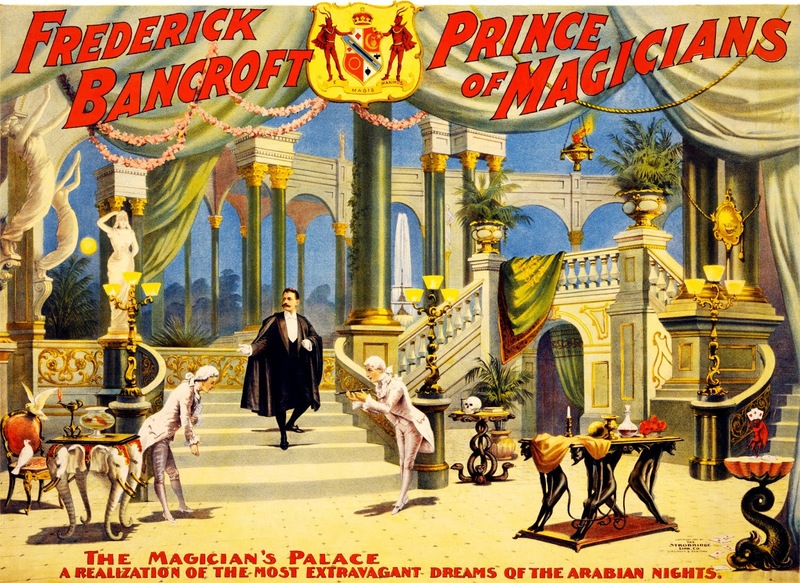 Seeing this poster you might think that Bancroft was one of the greatest magicians to ever live. Well, let me tell you about Bancroft. His name was Frederick Bronson, better known as Frederick Bancroft. He was born in 1867 in St. Paul Minnesota. He was born into a wealthy family. 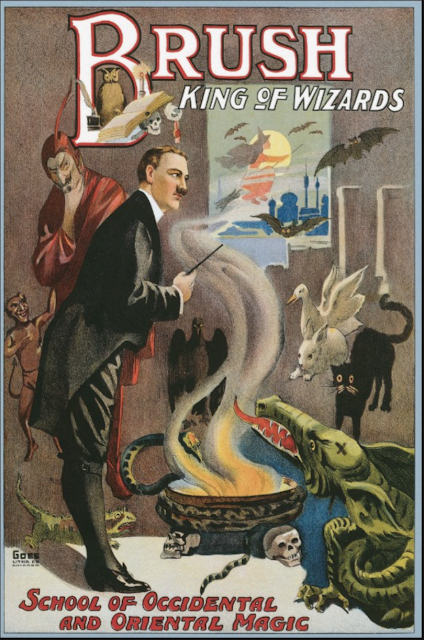 At a young age he saw Alexander Herrmann and decided he wanted to become a magician. Not only did he see Herrmann, but it appears he became a bit of a groupee following around from town to town for a period. Maybe he was more of a stalker! lol. Bancrofts first foray into magic was under the name DeCastro and it was a disaster. Probably on the advice of his father, he returned to the Twin Cities and went to school for denistry. He also speculated in real estate and made a lot of money. This burst of wealth caused him to think it was a good idea to try magic again. So he spent $30,000 or about $777,000 in today’s money. By all accounts he had purchased top of the line posters, top of the line brochures, top of the line draperies, scenery and even hand carved tables. Almost every mention I could find of Bancroft mentioned his elaborate and beautiful stage settings. What he didn’t spend the money on however were the latest magic effects. In 1896 Bancroft set out on his own. The magic in his show consisted of smaller platform style magic and it was very old, one article called it hackneyed. Other seasoned performers could take the same material and make it shine but Bancroft simply did not have the strong personality that Herrmann did. Alexander Herrmann had been performing since the days of the Civil War, and had coaching in the early days from his very popular brother Compars. Bancroft struggled. He had huge a 5 part show, with 3 parts devoted to smaller magic. 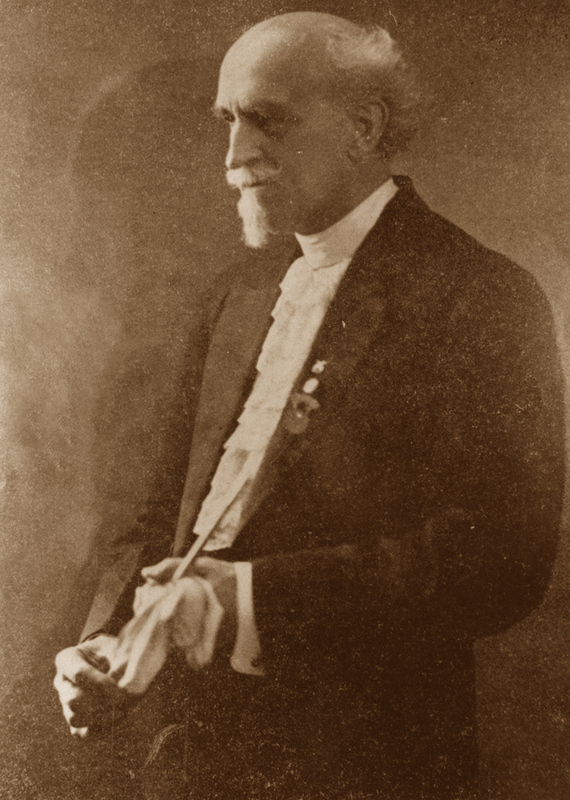 Also in 1896, The Great Herrmann died. And Bancroft, being a smarter businessman than he was a magician, hired Herrmann’s agent, E.L Bloom. Bloom helped to reshape the Bancroft Show, and I included at least one illusion in this new version. Dr. A.M. Wilson in the Sphinx mentions that Bancroft was the inventor of The Lions Bride, using Black art. I’d never heard this before. But sure enough there is a poster of Bancrofts that advertises the Lions Bride. So now Bancroft had a feature to his gigantic production! E.L Bloom booked Bancroft into a theatre in Charleston, SC on Sept 26th, 1897. Bancroft came down with Typhoid Fever and died. Much like our friend Maro who was featured in Podcast Ep 11 he too died to Typhoid Fever. WHAT HAPPENED TO the show following Bancrofts death? Good question. 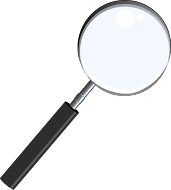 It seemed that it was acquired by Henry A. Dixey, who was managed by Edward Bloom (Bancrofts former manager). Dixey would later debut in NY in his new role as magician in early 1898. 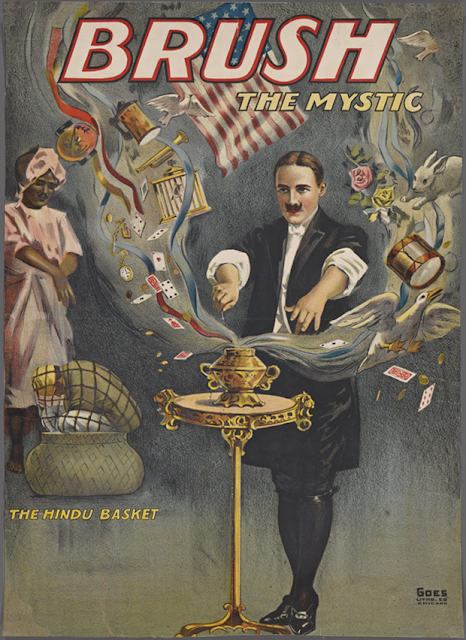 By July of 1898, Mahatma Magazine says “Henry Dixey, the comedian who succeeded the late Bancroft, as a magician, has given up magic. You might be familiar with the story that Houdini would tell about his early years of struggling, so he sent letters to Maskelyne, Kellar, and Herrmann, inquiring about possible work with them. Well, you can add Bancroft to that list because apparently Houdini had contacted him too, according to Dr. 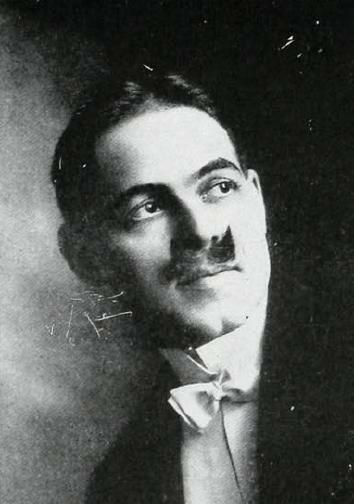 A.M. Wilson in a Dec 1922 Sphinx magazine column. "The spontaneous familiarity of Herrmann and the quiet yet not austere dignity of Kellar gave to their entertainments a fascination never equalled by any other magician on the American Stage. Bancroft could not follow Herrmann. Dixie could not succeed Bancroft. Thurston is not filling the place left by Kellar. Not that Bancroft, Dixie, or Thurston were and are not qualified magicians..."
So it puts into perspective the challenge of taking on someone like a Kellar or a Herrmann. Even with Bancrofts massively beautiful sets and stage decor, it wasn't enough. He did not have the personality to win over audiences. Yet at the same time, his advertisements were so grandiose that it appeared to fool someone like Houdini into thinking that Bancroft was one of the leading performers of his day. 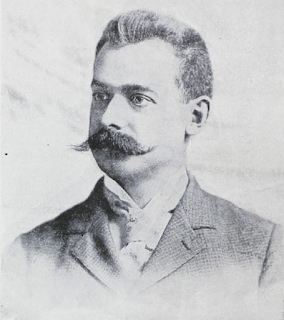 Bancroft lasted barely two years before he died. 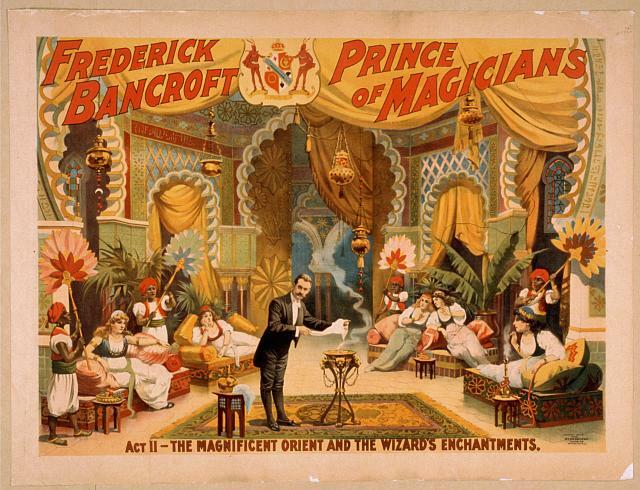 And many people suggested that over time, Bancroft may have grown into the role that his advertisements portrayed, that of a GREAT Magician. But his premature death ended that. I'm so happy to be able to include Edwin Brush in my podcast roster. I knew very little of his life before I started and he has turned out to be a fascinating individual. He was born Edward M. Brush on March 21st 1873 in Garden Prairie Illinois. He grew up on a farm so unlike many kids who were in the city, he had no way of seeing magicians. His first exposure to magic came from a neighbor kid who showed him some small pocket magic tricks. Brush was amazed and began to learn some pocket magic himself. When he was 16, Alexander Herrmann came to town. Herrmann was really King of the Magicians at the time. Not only was he famous in the U.S. but he was famous all over the globe. Herrmann had a wonderful personality, was known to be quite funny, and an excellent sleight of hand artist. Brush took in all that he saw and decided on that day that he would one day become a full time magician. Brush was smart, first he went to college to learn business and then he came out and got a real job working for a clothing manufacturer. He used magic as a sales tool to loosen people up, break the ice as it where. But the pocket tricks also had another effect, people saw that Brush was a fine magician and began to request if he could work at their events. Brush was well on his way to becoming a full time magician. What possessed him to think that mustache looked good is beyond me? But then again, it was a great marketing too because once people saw it, they could not UNSEE it, lol. Strangely, Brush continued to sport the crazy mustache through out his entire life. Even in his 80s and 90s he still have the wild mustache, though he did cut it back slightly. Besides his mustache, Brush has a very positive career in the world of magic. After looking at some of the comments by his fellow magicians, I see that Brush was very well respected by his peers. Alright, I'm just going to come out and say it. I gave this book a standing ovation! Seriously! 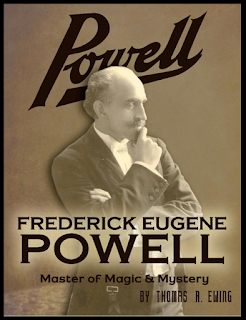 I love this book, Powell, Frederick Eugene Powell Master of Magic & Mystery by Thomas Ewing. I will be honest, before reading the book, I didn't know a lot about Powell. I had written a couple paragraphs about him on this blog, but nothing very extensive. Then along comes this book, and not a minute too soon. Who was Frederick Eugene Powell?" Really! Well, Tom Ewing answers the question and many more. Powell was a gentlemen, he respected magic. He cared for his audiences. He wanted to deliver a great show now matter where he was playing, no matter if it was before a crowd for 4000, or a small group at a school. Powell had a high opinion of magic. He didn't care for the exposure of magic. Yet, Tom Ewing points out, one of his first exposures to magic were tricks taught in a magazine for children. Powell was a big believer in knowing your magic history. He spoke of Robert Heller and finding Heller's grave in disrepair. Sadly, many years later, so did I. Frederick Eugene Powell was a big hit with Mexican audiences because he spoke Spanish and had knowledge of the culture. He was actually performing in Mexico when the Mexican Revolution broke out. He was also in Mexico when they got hit with some pretty fierce earthquakes. Powell continued to perform in his 60s and 70s. After all, a showman is born to perform, and Powell was clearly a magnificent showman. The author uses a combination of newspaper articles, magic magazine articles and correspondence that Powell shared with various magicians, as his source material. And I must say, it is a rich history that is delivered. I also love the fact that Tom Ewing occasionally adds some historical perspective in regards to events happening in the world, while the activities of Powells' life are playing out. The reader also gets to see quite a few of Powell's props that are today in private collections. In fact, one that is pictured is the umbrella for Powell's Cone and Flower production. In fact, the box of Powell's Spring Flowers is also in the book. Well, below I'm going to post a video of Powell performing his Cone and Flower mystery! But before I do, I want to encourage you to pick up this excellent book on one of magics most beloved artists and one who has been mostly forgotten to time. 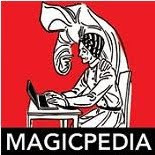 You can purchase the book from 1878press.com , although truthfully many magic dealers are carrying the book, so find it somewhere and get a copy. You'll be glad you did!